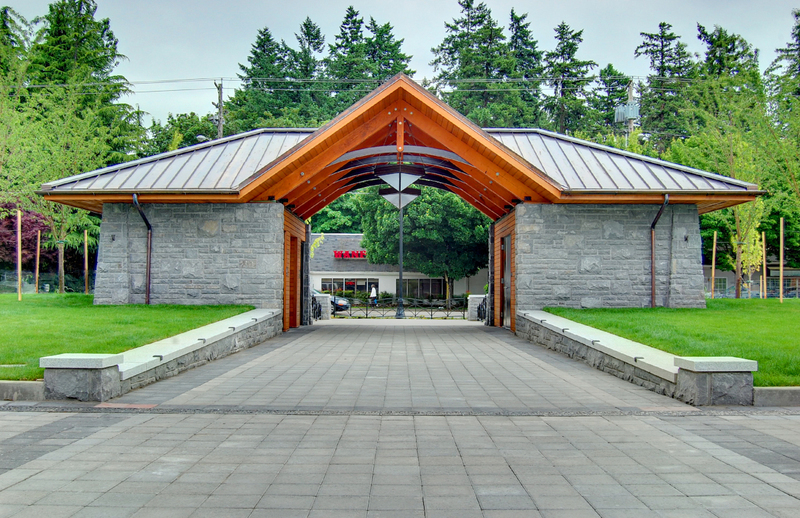 Key to Lake Oswego’s urban renewal program, Sundeleaf Plaza, “puts the ‘Lake’ back in Lake Oswego by opening up public views of the lake,” according to the City’s redevelopment plan. This park, named after Richard Sundeleaf (1900-1987), a prominent, local architect who did more than any other architect to influence the “village” atmosphere in Lake Oswego incorporated designs of the Arts and Crafts and Tudor style that created the English Village atmosphere, which is today replicated in several designs in the community including Sundeleaf Plaza and ARC’s adjacent Millennium Plaza Park. The park features wonderful views of Lakewood Bay, a lakeside promenade, lawns, public plaza, a bioswale for storm water management, and restroom facilities. 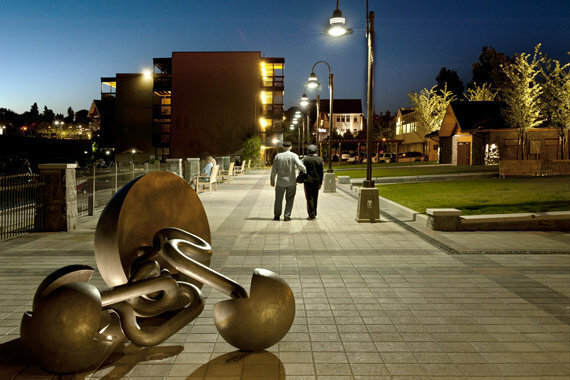 The park is located along State Street (Highway 43) and provides pedestrian connections to Millennium Plaza Park and downtown Lake Oswego. 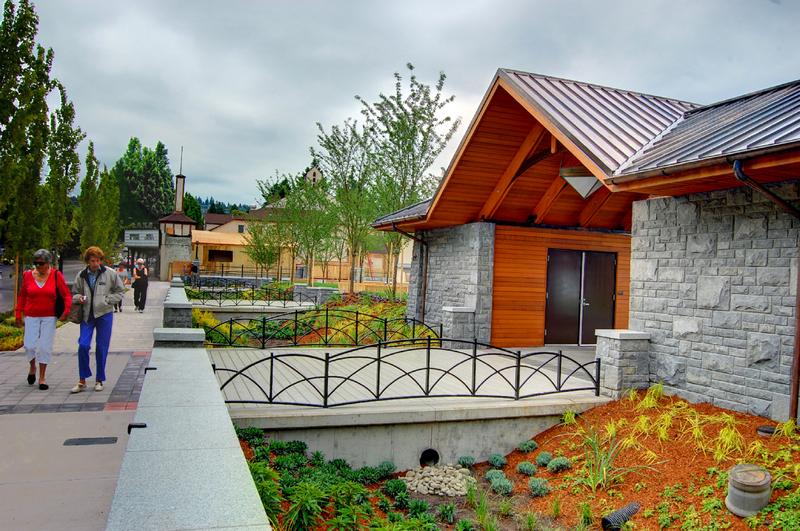 The park structures feature a cedar and stone clad restroom and storage building connected with by a breezeway along w/ a cedar and steel arbor defining the North edge of the property. The park is anchored on the South by the renovation/addition to the Lake Twin Theatre, and features a shared outdoor seating terrace complete with a double sided fireplace overlooking the bay.